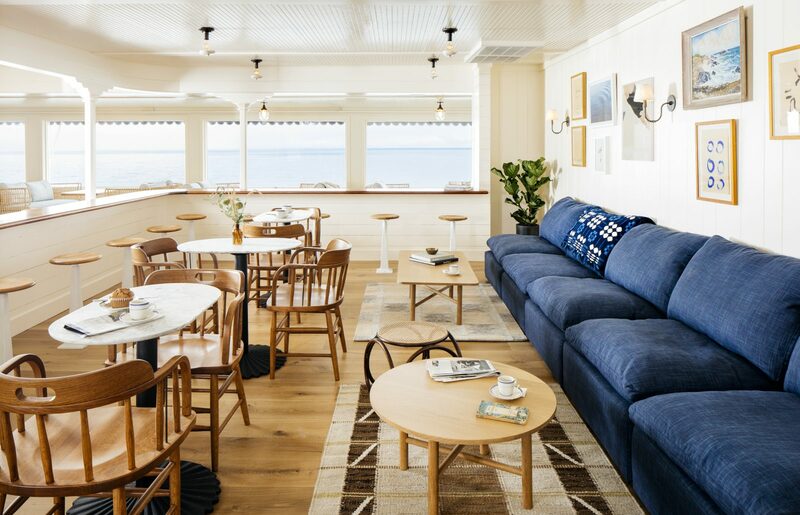 Our seaside retreat is the ideal setting for your next gathering. 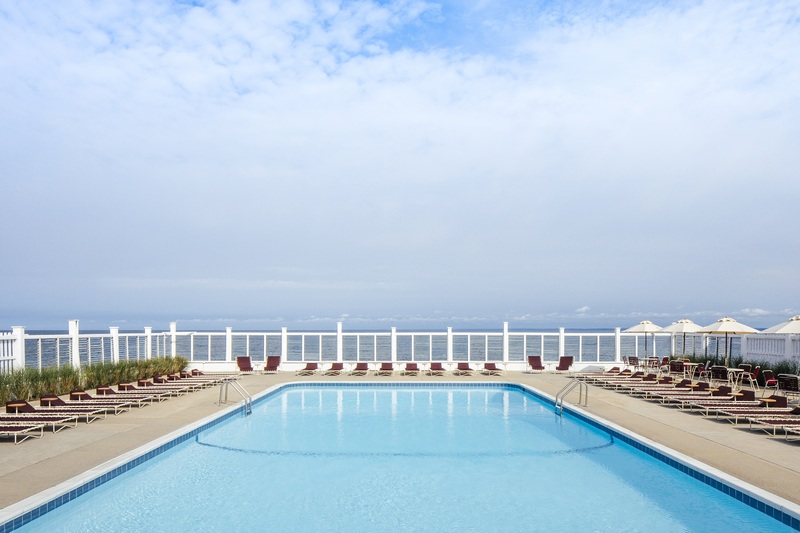 Whether it’s a team-building adventure or corporate powwow, wedding receptions or writer’s workshop, The Sound View Greenport has a perfect venue to make your next group getaway truly memorable. 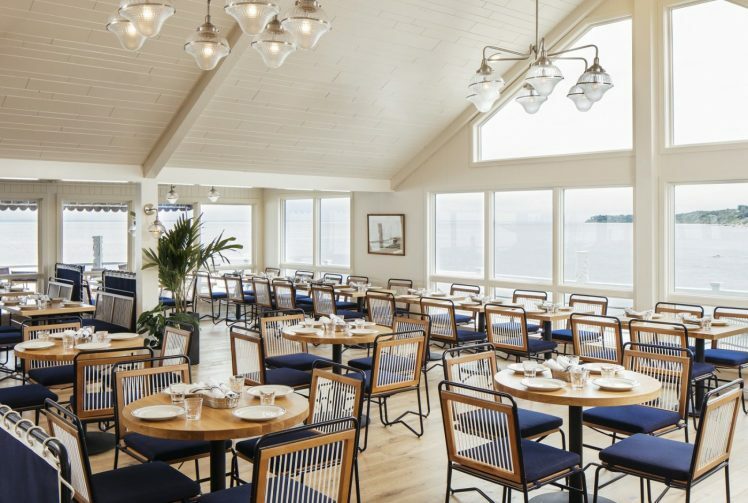 The expansive dining room toasts maritime traditions with its classic captains’ chairs and wooden communal tables. Vaulted ceilings feature exposed trusses and walls of windows bathe the space in natural light. 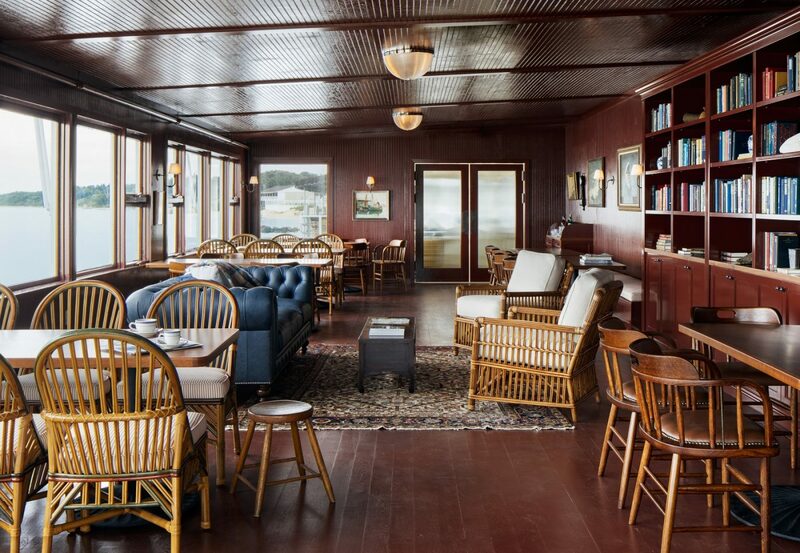 Take your wine glass and stroll to the adjacent outdoor deck to drink in views of the Sound. Dine together or transform the entire restaurant into a dance floor for an epic all-nighter. If you can imagine it, we can create it. The intimacy of a library really lends itself to special occasions. Our lavishly book lined, private dining room has a warm vibe that welcomes you in, offering epic seascape views through its oversized windows. It’s a wonderfully flexible space: a perfect home for business events and meetings (with full A/V capability), wedding celebrations, and cocktail parties with an edge of style. 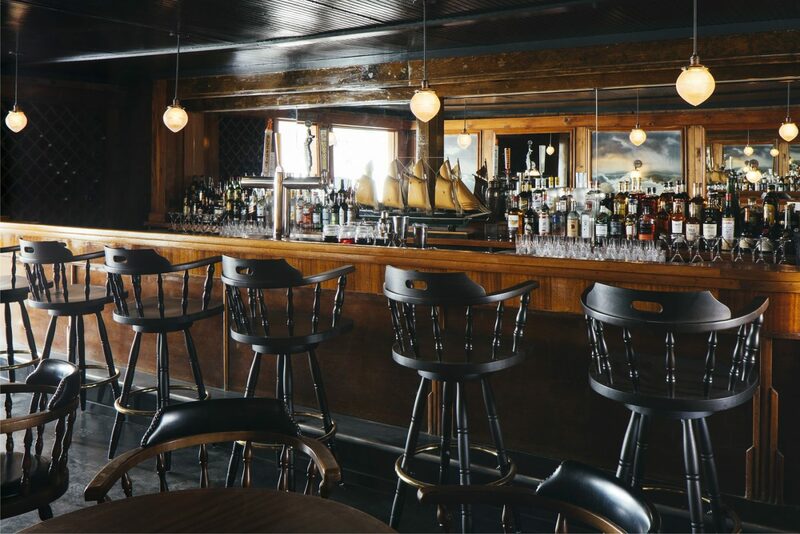 A real piano bar is so hard to find—which is why we’ve created one here. Lined in wood stools, it’s a place for craft cocktails and lively conversation, private recitals, or break-out room. We restored the waterfront pool that looks out to the Sound, and rebooted Jack’s Shack original roadside eatery from the 1930s. Sip a cocktail while your music is carried on the breeze, and gather around the pool strewn with rope lights. Then take a stroll along the beach, just a few sandy steps away. The pool can accommodate up to 125 for a cocktail reception. Our boardroom opens out onto a shared waterfront deck—just the place for clients hosting smaller meetings or in need of a breakout space. 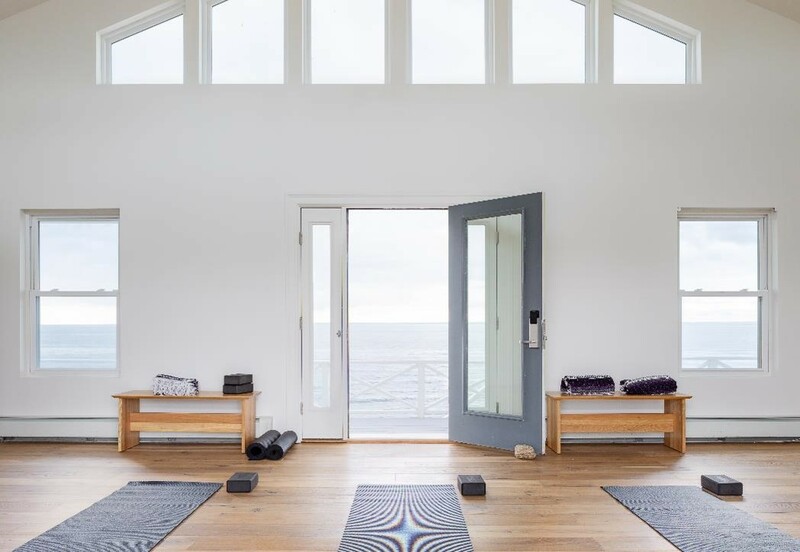 It also works well for an onsite yoga class, say, or a meditation session. Groups meeting at The Sound View have plentiful opportunities for informal, even spontaneous, breakout sessions in our Lounge. 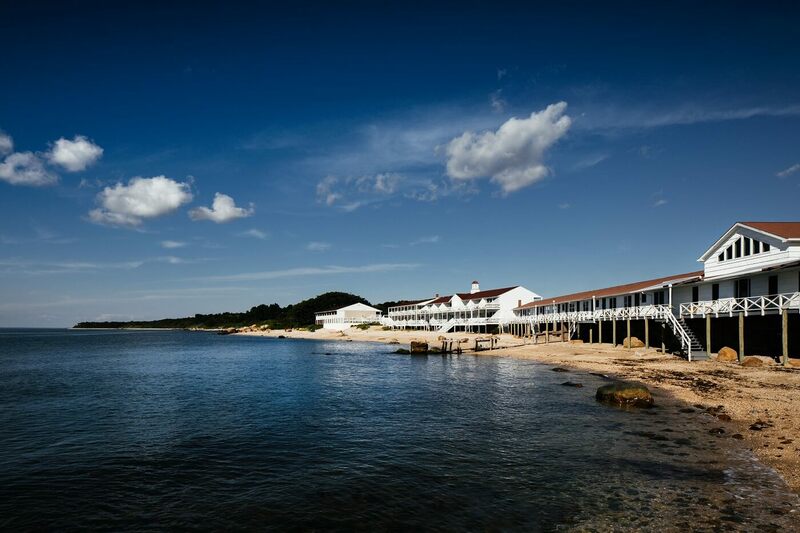 It is also one of the best places on the North Fork to find a craft cocktail while watching the sun set over the Sound. The Lobby and Lounge can also be bought out to accommodate larger party sizes; a full buyout of the entire restaurant includes this meandering, lofty space.